Troops are very resourceful and often make battlefield modifications to existing equipment. 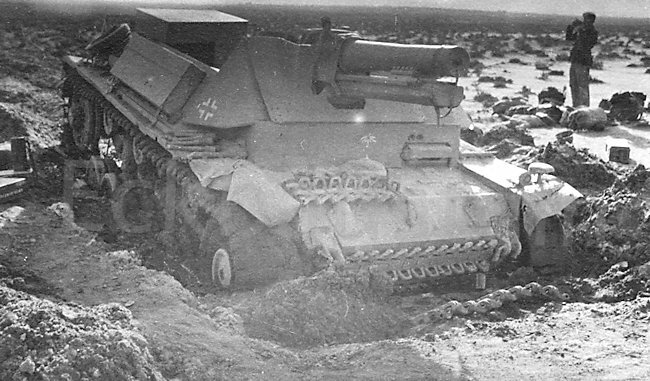 One such example was the 15cm sIG 33 L/11(Sf) auf Fahrgestell Panzerkampfwagen III Ausf.H (Sf). Only one was ever made and it did not survive the war. Luckily photographs are available to prove its existence and use in North Africa. A Panzer III Ausf H tank chassis was used to mount the same 15 cm s.I.G. 33 L/11 heavy field howitzer that was used on 15 cm sIG 33 auf Fahrgestell Panzerkampfwagen II (Sf) that had an extended Panzer II tank chassis. 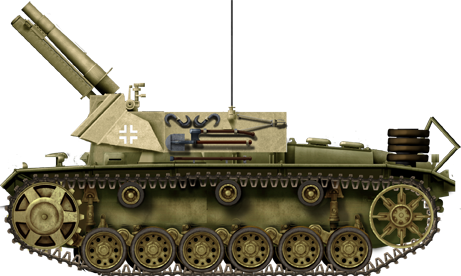 As with its baby brother, this self-propelled artillery gun also has a problem with its name (The 15 cm sIG 33 auf Fahrgestell Panzerkampfwagen II (Sf) has wrongly been called the Bison II or the Sturmpanzer II: this started after the war). Some scale model kit companies, military history authors and museums wrongly call the field modification 15cm sIG 33 L/11 auf Fahrgestell Panzerkampfwagen III Ausf.H (Sf) SPG the Bison III. It was never called that during WW2. It is believed that it was used by the German Afrika Korps Schützen-Regiment.200 (90 leichte Infanterie-Division) attached to the s.I.G Kompanie (Sfl. )708 between 1942-1943 and first saw action in September 1942. 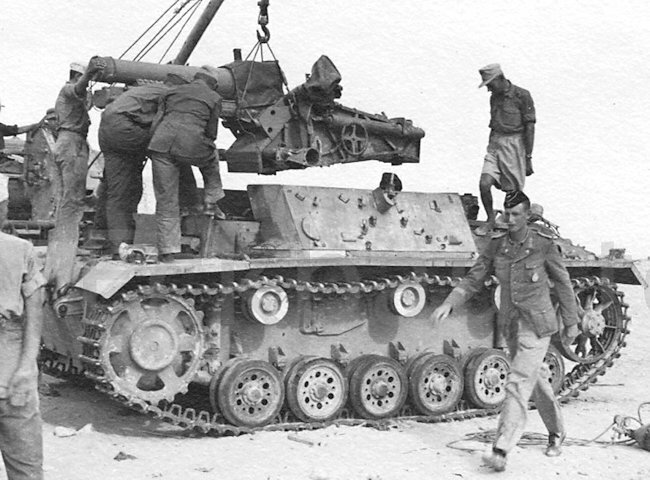 In 1941 Field Marshal Erwin Rommel needed heavy artillery to support his advancing armored divisions in North Africa. Horse drawn artillery was impractical in the heat of the desert. The logistics of supplying these animals with enough feed and water was a nightmare. Each towed artillery gun would require a team of six horses to pull it. He demanded a solution be found. 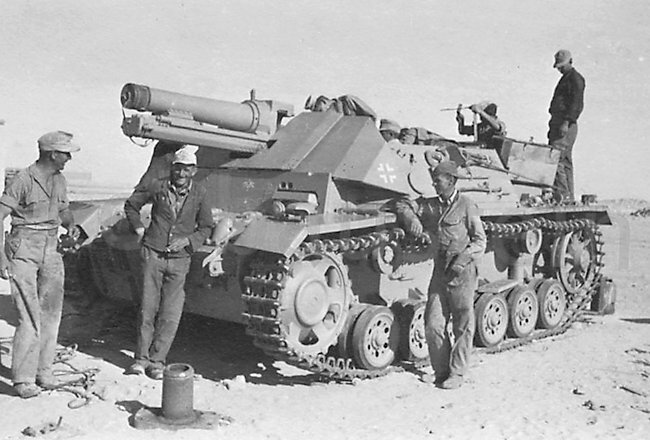 A small number of 10.5cm and 15cm artillery field howitzers were mounted on captured enemy tank and tractor chassis and sent to support the men and machines of the German Afrika Korps DAK. Some were fitted to obsolete German tank chassis like the Panzer I and Panzer II. These tanks were replaced by the Panzer III and Panzer IV as they came off the factory production line and entered service. These self-propelled German artillery guns are some times referred to as ‘Rommel’s Funnies’. This vehicle was not designed to advance towards heavily fortified gun emplacements and blow them up whilst under heavy fire. It has only a thinly armored fighting compartment: the crew had very little protection. It was intended to keep up with the advancing infantry and tanks but remain behind them out of harm’s way and fire shells over their heads at enemy targets. Unlike anti-tank gun shells that came in one piece artillery shells were loaded into the gun breach in two separate pieces. The high explosive HE shell was always loaded first and this was followed by the propellant cartridge. The gun could also fire smoke rounds to cover the retreat or advance of an infantry or armored column. These shells were called 15-cm Igr. 38 Nebel and weighed 38.50 kg (85 lbs) These smoke shells were identified by the white letters ‘Nb’ on a field-gray projectile. The bursting charge consisted of picric acid, and the exploder system comprised of a detonator set in penthrite wax enclosed in an aluminium container. The shell produces a smoke cloud 50 meters (55 yards) thick. It had an effective firing range of 4.7 km – 4,700 m (2.89 miles – 5,140 yd). When firing HE shells it had a muzzle velocity of 240 m/s (790 ft/s). A good gun crew could fire three rounds a minute. The shell fuze s.Igr.Z. 23 was a highly sensitive, nose-percussion fuze with an optional delay of .4 second. It operated on impact or graze. It fired two types of HE shell, the 15cm I.Gv.33 and the 15cm I.Gv.38. For all practical purposes they were identical. The gun cradle is situated below the gun barrel. It is trough-shaped and is provided with guide ways, in which guides on the gun move as it recoils and runs out. On either side at the front is a pad to receive the unabsorbed force of run-out, and between them is the expansion chamber which receives the buffer fluid forced from the buffer by expansion as it becomes heated. Towards the rear are the two cradle arms to which the trunnions are fixed. Each trunnion is provided with a cranked compensator lever which compresses the compensator spring. Why was only one built? When vehicles get damaged on the battlefield they are recovered by the engineers who try to repair them back behind the front line. Some times parts of an armored fighting vehicle are damaged beyond repair but the rest of the vehicle is in good working order. 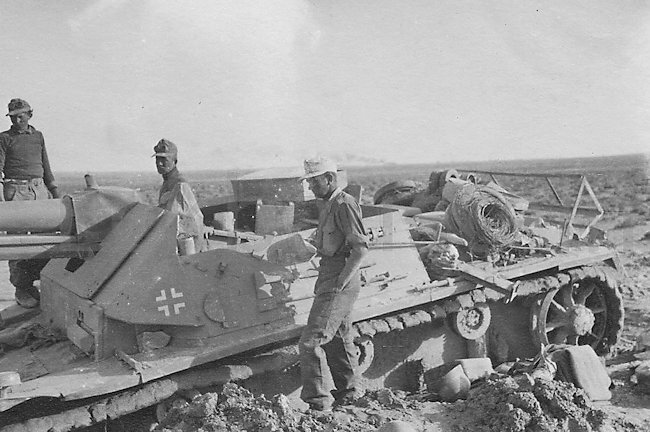 The Afrika Korps engineers had problems getting replacement parts in North Africa because of the sinking of Axis transport ships in the Mediterranean by the Allies. Rommel’s forces were out numbered by the Allies in North Africa who had more tanks, artillery guns and armoured fighting vehicles. 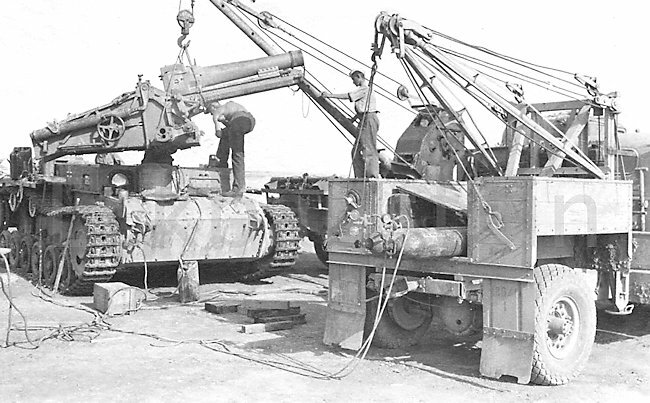 The German engineers were under pressure to repair to get as many serviceable fighting vehicles to the front line as they could. It wold have seemed logical to them that a working 15cm s.I.G heavy infantry gun salvaged from a knocked out self-propelled gun should be sent back to the front on a new chassis. 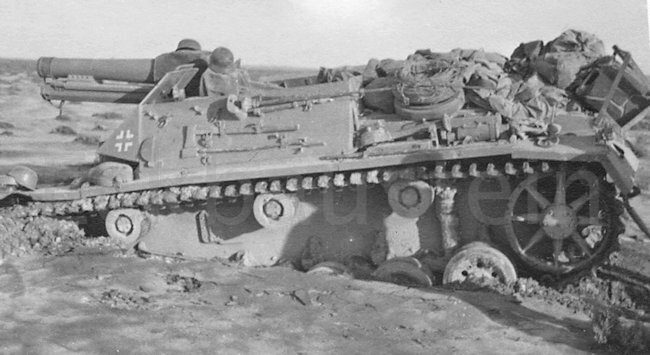 In this situation they used a turret less recovered Panzer III Ausf.H tank chassis. Development of the 10.5cm ‘Wespe’ self-propelled artillery infantry gun was already started back in Germany. This took priority. I recently read about this field conversion and as a professional model maker I would like to know some details as I was interested in building one. It is uncanny how in almost the same day you published these excellent photos! Keep up the good work! You’d be surprised at what a group of mechanics and machinists can create together, with a pile of scrap metal and nobody hustling them. Believe me. Outstanding articles here. I’m enjoying them immensely! Very nice collection! 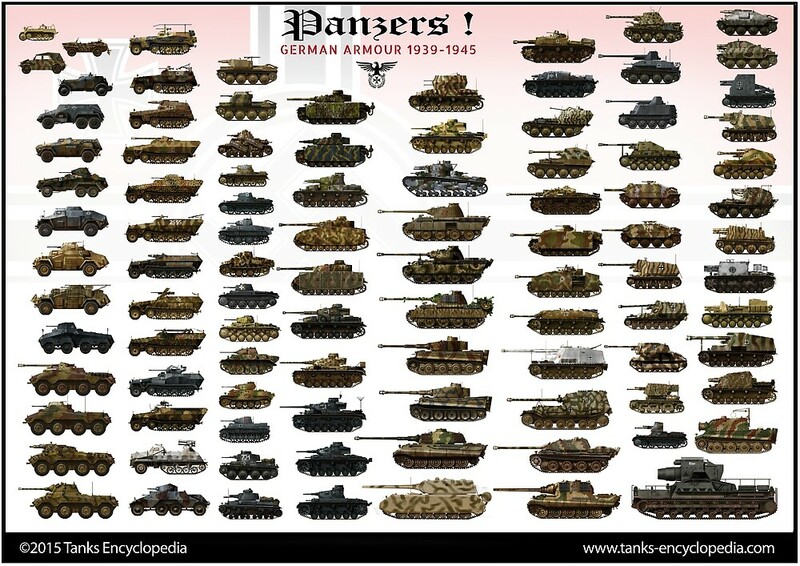 This is the best tank encyclopedia what i ever seen! Good pics, text rather elementary, but OK. Thank you. 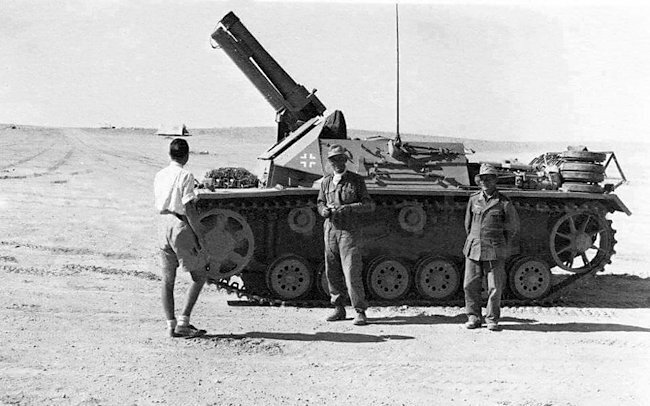 The German program to make a 15 cm SPG resulted in the Hummel which was built on a hybrid III/IV chassis. Wespe and Marder serieses were simply the Nazis making the best of a poor manufacturing situation.